We are a veteran cellular company in the Israeli market that serves all Israeli citizens. We believe in personal and human service to all of our customers. Our company specializes in giving service to customers who are visiting Israel for a short time. Where can I collect my SIM card? 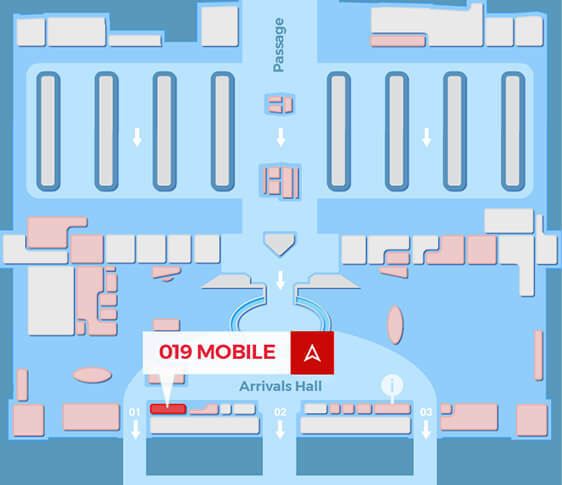 At our 019 mobile store, located in the Arrivals hall (map) at Ben Gurion airport. No need to return the sim card to us once you’re done. You can just throw it away. What are the opening hours of the 019 mobile store? Our store is open 24 hours a day, 6 days a week. The store is closed Friday 4:00 PM – Saturday 9:00 PM (Israel time), and on Jewish holidays. Who will help me insert my new SIM card? How can I be sure it fits my mobile phone? We would love to assist you in any way we can. That’s why we only offer SIM cards that we know are compatible with every single cell phone (including non-smartphones), and come in all sizes (Standard, Micro and Nano). Before your flight to Israel, it is important for you to check that your phone is unlocked for international use. In case you do not know if your phone is unlocked, please call your Mobile network operator and verify it before arriving to Israel. Is it possible to rent a mobile phone? Yes, we do provide a rental service for a variety of smartphones at a reasonable price. Simply return it at the end of your stay in Israel to our duty free shop or to our shop at the arrivals hall. Can I keep my WhatsApp number? Yes, your WhatsApp number stays on your phone. It will not change to your new Israeli phone number. How do I get calls from abroad? How do I call Israel and abroad? How do I keep track of my minutes balance? Simply call *019, and an SMS with your balance will be sent back to your device. How do I add more data or minutes to my package? Visit 019mobile.com to add another package and click on: "Recharging your sim", or call 055-9912345 and follow instructions (toll free from Israel). I’m already in Israel, but forgot I want another SIM. What can I do? Simply visit our 019 mobile shop at the airport, and purchase an additional SIM card. Our store also offers chargers and other accessories for your phone. Otherwise, just visit our website and order it online. What is the internet browsing speed in Israel? The entire country uses fast LTE internet. What should I do in case I forgot my phone number? Simply dial *725 and get your number via text message. Will it cost me more money to purchase a SIM card at the airport? Yes. If you don't order a SIM card online, it will cost you more money. To guarantee the best price, please order a SIM card online and pick it up at the airport once you land. First, choose the relevant package for you. Then, you start the process of buying the package. It’s very simple and takes up to 3 minutes. You can pay by credit card. Once the purchase is completed, you will receive an Email with your booking confirmation, and your invoice. An Email with your booking confirmation should be sent up to 10 minutes after reservation is done. If you have not received an Email, please contact us via the "contact 019" box on our website. Please specify the last four digits of your payment method, confirm reservation date, and we’ll take it from there. Your SIM card will be waiting for you in our shop, located near the airport exit. Our staff members will help you install your SIM card and will verify that everything works perfectly. Welcome to the 019 mobile family. We are one of the leading cellular companies in Israel, providing service to hundreds of thousands of Israeli and foreign customers, with the highest quality, service and availability standards. We offer a variety of mobile packages, so tourists can call and fast surf, at the best rates Israel has to offer. 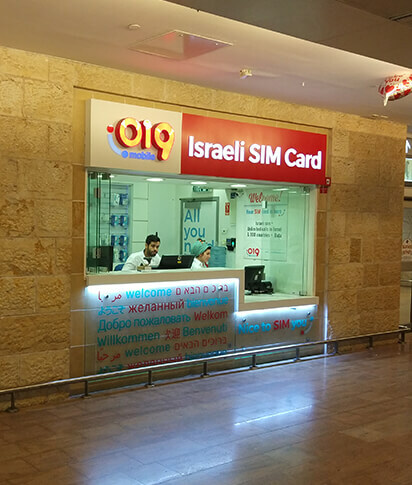 To provide you with the best service possible, we have opened a 019 mobile store at Ben – Gurion Airport’s arrivals hall, so you can get a SIM card immediately upon landing in Israel. 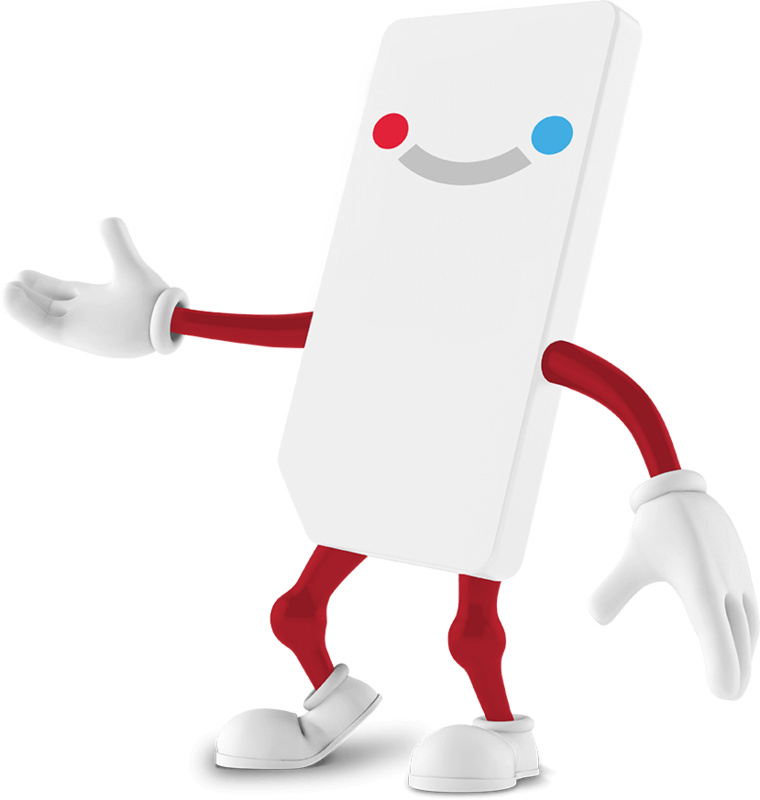 We will happily assist you with installing your SIM card, and gladly answer any questions that you may have. Our most economical mobile packages are prepaid SIM cards, which let you know exactly how much you are paying, so there are no un-expected fees at the end of your trip. If you want to purchase more data or add minutes to your package, do so quickly and easily by calling *019, or recharge your card on our website. Our English-speaking representatives are always available during working Hours (On Sunday to Thursday: 08:00 AM - 10:00 PM, On Friday: From 08:00 AM– 01:00 PM), and they will be happy to assist you with any questions you may have. They can even recommend a good restaurant! We wish you a pleasant stay in Israel. We at 019 Mobile regard the importance of accessibility to our entire customer base. This site is powered by the advanced access software AA level and approved by accessibility consultants. If you still encounter a malfunction or comment on the accessibility of the site, we will be happy to hear. Please indicate to the coordinator for accessibility.